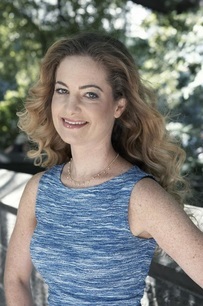 Abigail Rosin McCreath, Founder and Executive Director of Groove With Me, Inc.
Abby received a Bachelor of Arts in women’s health care from Brown University. After attempting to engage her students with the contemporary jazz that she grew up on, she set out all over NYC to learn the hip hop the girls desired. She performed with a hip hop troupe in 1998 and 1999. She has taught workshops for other organizations including Free Arts for Abused Children, the Harlem Girls Collaborative and Sponsors for Educational Opportunities. She’s even taught dance in an orphanage in Costa Rica. For the creation of Groove With Me Abby received the Montblanc International Arts Award, the Ford Blue Oval Commitment to Kids Award, the Eckerd Salute to Women Award, the RCN Cool Classics Award, Glamour Best of You Award, The New York Winter Theater and Arts Festival Award, and the Harlequin More Than Words Award. Abby continues to learn how to be a better Executive Director through short courses and consultations. Angie has a Bachelor of Arts in Sociology and Anthropology and a minor in Psychology from Saint Michael’s College in Vermont. Her passion for dance began as a child when she participated in Groove With Me and took tap with Marguerite D’Aloia. Angie has a background in youth development which includes residential programs, college readiness, and support programs. She re-visited her dance skills when she volunteered at orphanages in Thailand and India. She loved the gratification and joy dance brought to children in need. She has devoted her life to service and activism for youth in underserved communities. Ultimately, Angie strives to ensure that all children have a safe space that allows for their minds and bodies to grow. Jessica has a Bachelors of Science in Marketing and Business Administration from SUNY Plattsburgh. During her undergrad, she spent her time working at the local daycare and organizing fundraisers for the community. She started her career as an event planner before discovering her passion for youth development. The arts are what motivate Jessica. She has travelled abroad to Costa Rica where she taught Art to underserved children. As our Program Coordinator, Jessica focuses on program development, special events, outreach, and operations. She aspires to one day start her own children’s non-profit where she can work as an art teacher. ​Tyeisha is no stranger to Groove With Me. Once a committed student here, she is now giving back to the GWM community by giving her full support as our new studio manager. She started volunteering at GWM in 2010 while being a member of the Teen Leadership Committee (TLC). Even after graduating from our program in summer 2012, she continued to return to volunteer as a chaperone for our annual June recital. Tyeisha worked as a substitute teacher aide while obtaining a degree in Massage Therapy. Her passion for dance has always brought her back to Groove With Me. We’re so thankful to add her to our team. Sabrih discovered dance by literally crashing into a ballet studio on her bike. Once she got in she could never let it go. She is passionate about Latin dance movement and currently teaches at Yoga to the People as a yoga instructor. The experience of dance and movement has helped her transition into her graduate studies in Physical Therapy. It brings her joy to see others connecting and growing in this field of movement. She wants to inspire others the same way she was throughout her journey.